Juggling with the busy schedule at work, deadlines, travels, backlogs and early preparation for Christmas season. For me, a break from everything was surely needed. 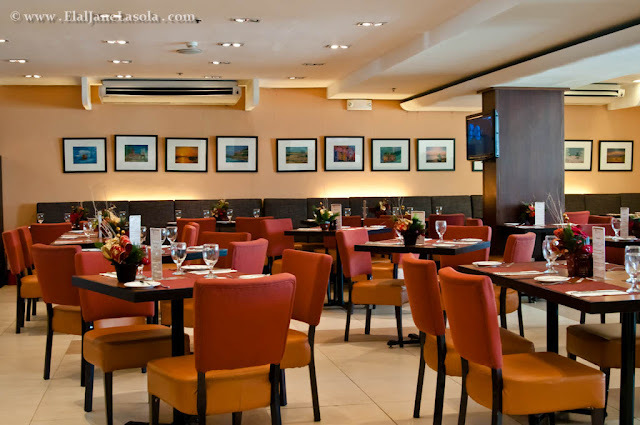 Whether it just a staycation (vacation spent close to home) or visiting the Metro, Microtel Mall of Asia is perfect for it is located close to the Mall of Asia, some Manila attractions and NAIA airport. I was totally expecting the place to be similar to other Microtel establishments, but I was wrong. 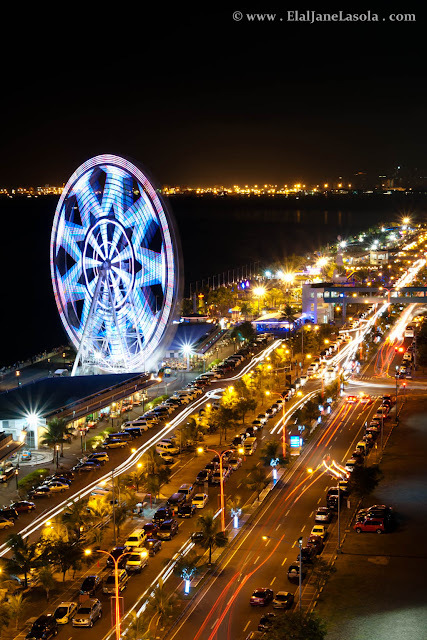 Arriving at the hotel, we immediately went to the rooftop deck where dinner is served, I was blown away by the view from the top which is overlooking the very busy street of Seaside Boulevard in front of Mall of Asia and the captivating Mall of Asia Eye. 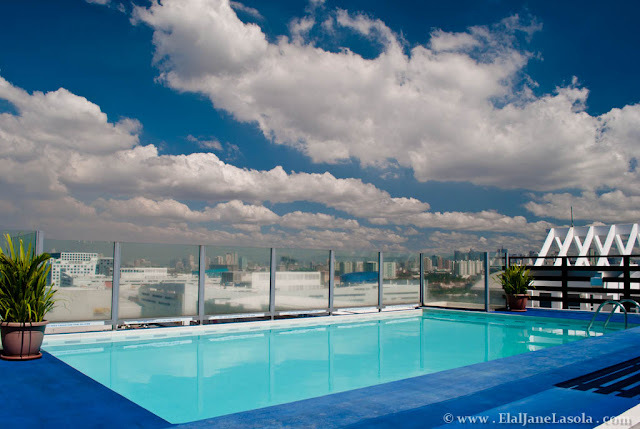 Aside from the dining area,which you can request if you have small gatherings, the pool is also located at the rooftop deck which makes swimming more relaxing seeing the great view it has to offer. CA and I were kind of late since we were commuting from QC, but I can only imagine how lovely it must have been there at the top when the sun was setting and dusk was approaching. I love the comfort that hotels give and staying in a hotel while in your own city is perfect given that you'll not be stressed for it is just near. Together with us, Ca of Adventurous Feet and I, were Christian of Lakad Pilipinas, Leslie of Chocolate Skies, Darwin of Tracking Treasures and Joanna of Backpack Chronicles. We were met and introduced with the general manager, Dean, during dinner, who was very approachable and eager to tell us about the place, its history and what it has to offer. The rooms are all air conditioned with a complete set from cabinet, tv, telephone, bathroom, among others. 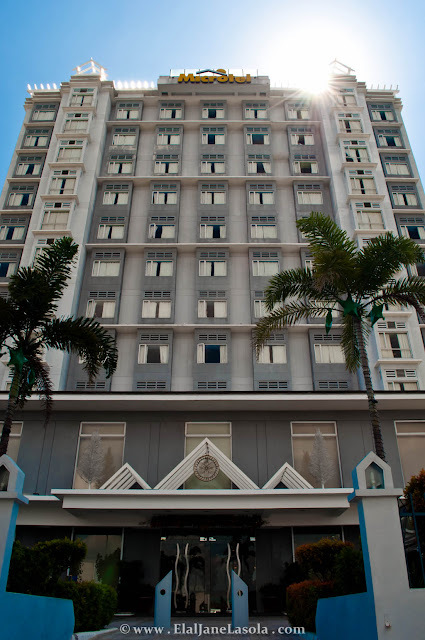 More to that it offers views that suit to your taste such as room with city view or room with sunset view. The city view from our room was one of the things I like about this hotel! It was just lovely to see the Mall of Asia Eye from our beds. They also have a restaurant inside the hotel, Millie's. To know more about Millie's, keep posted on another post dedicated to the delicious meals they have to offer. 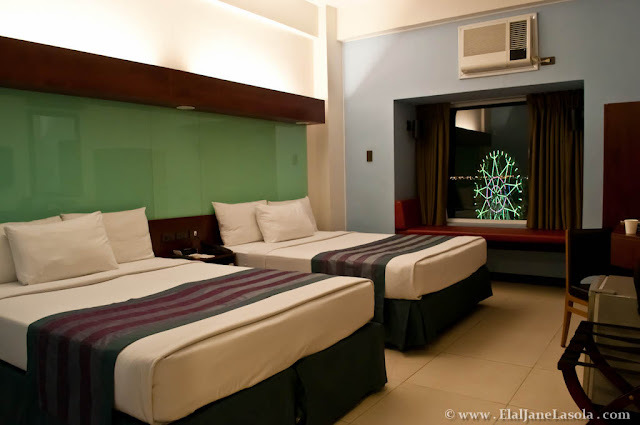 Microtel Mall of Asia located in Coral Way Ave cor Seaside Blvd, Mall of Asia Complex, Pasay City or visit microtelphilippines.com. The hotel looks fascinating. I would have wanted to join you guys but due to my shift on weekends I had to say no. Haha sesame street? Chino sumama ka naman kasi! 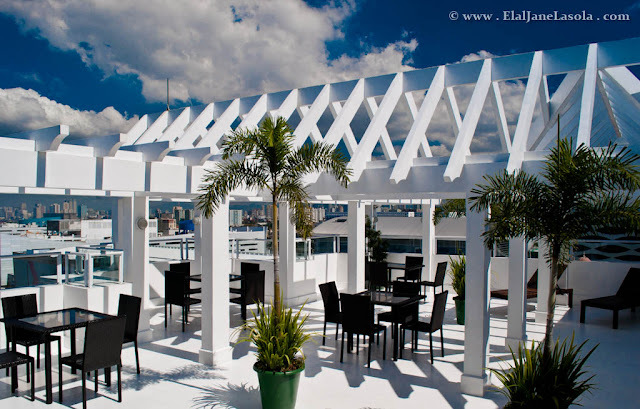 Ganda ng view from the roof deck :) I wanna go there next time I'm in Manila.